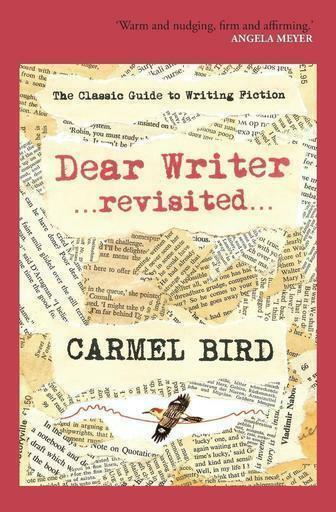 A few years ago I wanted to revise my book on writing, Dear Writer, and offer it as an ebook. I discovered the wonders of Spineless Wonders which was a small publisher specialising in ebooks. Dear Writer Revisited became an ebook, and Spineless Wonders also produced it in hard copy. Since then, they have published my collection My Hearts Are Your Hearts, and in 2017 they began the Capsule Collections which are small collections of stories or poems produced solely as ebooks. 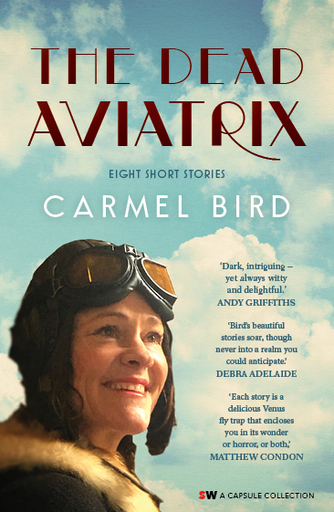 They put eight of my new stories into a Capsule and this became The Dead Aviatrix, published in November 2017. Every short story has its own history. Something went Ping! and suddenly I had the story. Maybe the use of the term ‘aviatrix’ was what did it. A word very much of its time. Female aviator. Not a word that is safe to use seriously any more because it is unfashionable to characterize women workers as being separate from men workers. You are not supposed to say, for instance, ‘actress’. So ‘aviatrix’ was horribly un-PC. In particular I loved the ‘trix’ part of it; I just liked saying it. The character of the intern invented itself. Since I wrote the story, the matter of interns has become the subject of government and media attention. When I was at high school, I played the part of Olivia in Twelfth Night. One of the lines in the play that sometimes comes back to me is ‘The whirligigge of time brings in his revenges’. Now skip to 2017. Social media rules. There is no privacy. Once upon a time publishers were often remote and powerful figures, shadowy even. But by 2017 some of them began to give in to the temptation to express themselves on social media. Whereas once they might have mocked the writing in the ‘slush pile’ to their colleagues over lunch, now they could give the whole world a good laugh. I found this quite shocking, really. The lovely line from Twelfth Night leapt to mind, and there’s the story. ‘Cold Case’ has its origins in a memory I have from childhood. I liked to pick flowers that hung over fences. Still do really. One day I picked a puffy greeny white viburnum bloom, whereupon a hideous red-faced man materialized and shouted at me that he would ram the flower down my bloody throat. I can’t really explain how the plots and characters of stories build from these old memories, but clearly the incident with the viburnum made a powerful impression on me, as did the line from Twelfth Night, and maybe because my project in life is to manufacture fiction, those things have the power to give birth to characters and narratives. I wrote the story in the first person, but the narrator is only partly personal to me. In the goldfields region where I live there are fascinating little old towns that have in the past been been busy, grand and elegant, but that are now very very quiet, perhaps more or less dead. One time when I went to Tarnagulla, I saw vast areas of prickly pear gone wild in the middle of the town. It’s an introduced weed. It was beautiful, the proliferation, the sea of thick ears of green sprouting vicious needles and blooming with silky peachy yellow flowers. And the fact that ‘cactus’ is Australian slang for ‘dead, beaten, kaput’ appealed to me as a metaphoric description of the place. There’s a beautiful old bank building, and several handsome red-brick churches which I really love. All these buildings have been converted into residences, I imagine for people who have come from the city to enjoy life in the country. From time to time in towns like this, people set up shops to sell crystals, or to tell fortunes and so forth. Anyway, my visit to Tarnagulla inspired me to write the story ‘Cactus’. The lives of the characters in the story are pretty much cactus too. I live in the Bendigo region of Victoria. In recent years there has been considerable controversy about the establishment of a mosque in Bendigo. The community is divided on the issue. I should clarify here that I am in favour of the mosque. Sometimes I am stopped in the street by strangers who rant about their belief that the mosque is going to bring violence and terrorism to the city, that land values will drop, that women will be raped, people will be slaughtered. My most vivid experience of this irrational prejudice occurred in an unexpected location. I used to take my small grand-daughter to ballet classes. As the only grandmother among the mothers who waited in a separate room while the children took the class, I was invisible and ignored. The mothers talked among themselves, and every now and then they would interrupt their discussion of ordinary everyday concerns with expressions of rage and fear and disgust about the mosque. I simply told this story as a third person narrative, dramatizing and foregrounding the vicious intolerance that seemed to be as normal to the women as their talk about hairspray. I just allowed them to talk. The story is a portrait of the blindness and smugness of a certain section of local society in its own words. I wrote this story at a time when surrogate pregnancies were big news in Australia. When their surrogate baby son turned out to be ‘imperfect’, an Australian family rejected him and left him with his birth mother in a foreign country. Rather than meet this story head on, I explored the issue of surrogacy and imperfection as a type of fairy tale from the nineteen fifties. I think that some of the issues involved in surrogacy can be highlighted by shifting some of the emphasis, and by adopting an unexpected tone for the telling. Unlike many of my stories, this one has distinctive characters and a straightforward plot. Incidentally, it is set at a time when Europeans were arriving in Australia after the Second World War. The Dutch people in the story are of course figments of my imagination, but I knew several Dutch families in Tasmania in the fifties, and memories of them just entered the narrative. I think extinction of species has been one of my preoccupations since my father told me that the last Tasmanian Tiger had died in the Hobart zoo a month after my older sister was born in 1936. My father had seen the animal, but I would never see it or its like. Small evidences of this interest have surfaced in my writing over the years, but ‘Love Letter to Lola’ is the probably only story I have written purely on the subject. In 2003 a friend asked me if there was a book I would like for my birthday and I said I would like Tony Juniper’s book about the extinction of Spix’s macaw. The friend was a bit surprised at the choice, but she gave me the book, I am happy to say. 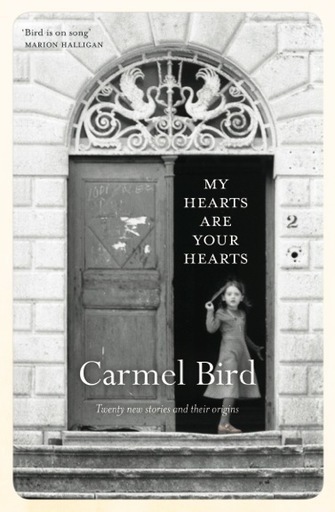 In 2016 a publisher invited writers to contribute to a book of love letters. For some reason the idea that came to me was a love letter from the last Spix’s macaw. So I tell, through the voice of the parrot himself, the terrible story of the extinction of the bird. Tony Juniper told the history; I gave the parrot a voice. In 2013 I was guest editor for an issue of Griffith Review. The topic of the journal that quarter was fairy tales, one of my particular interests. The notion of ‘fairy tale’ is still more or less lodged in the popular Australian imagination, possibly thanks to Walt Disney, in the narratives of the Grimms, and in other European traditions. At Griffith Review, it became clear that although there are glorious Indigenous foundation myths and other legends, and also stories such as ‘The Magic Pudding’, there is very little literature past or present that falls into the category of ‘Australian fairy tale’. With this at the back of my mind, I began writing a new story. It’s always a mysterious process, writing fiction, and so I can’t really explain why the idea of the Rainbow Serpent and the Unicorn meeting in Tasmania occurred to me. But it did, and I began writing, and it turned out to be an end-of-the-world story. Extinction of everything. In a way it is a long-awaited response to the story my father told me long ago about the extinction of the Tasmanian Tiger.